British thrashers Evile have been confirmed to play at this year’s High Voltage festival, which takes place on July 23rd and 24th at Victoria Park in London, UK. Evile were among the latest bands to be recently announced for the UK’s Download festival, as well as Masters of Rock in the Czech Republic. The band are now due to perform alongside even more rock legends at High Voltage, including Judas Priest, Queensryche, Jethro Tull and more. 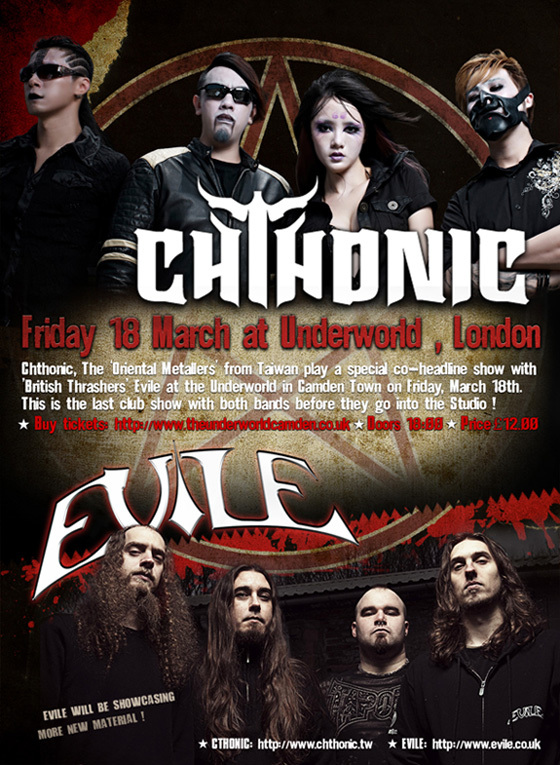 Evile have also confirmed a UK show with Taiwanese metallers Chthonic, which takes place next Friday, March 18th at the Underworld in London.